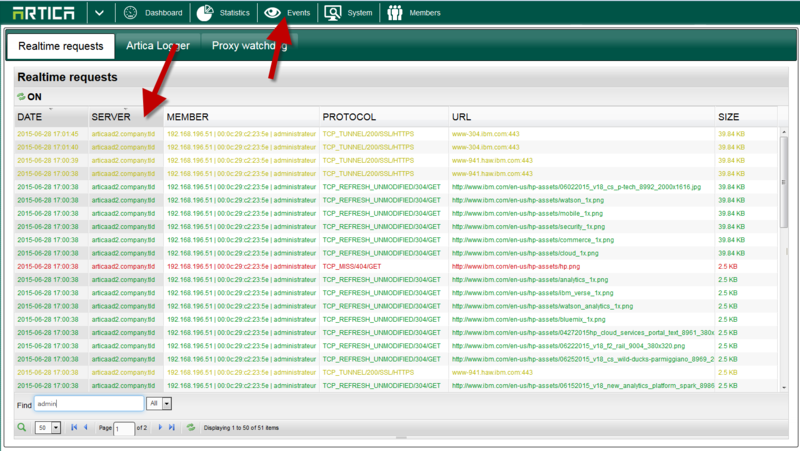 With the statistics Appliance, you can monitor in real-time all events of your proxy farm. 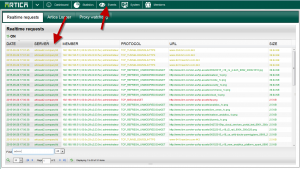 This feature is only available if your Proxy servers using the “Send events by syslog” feature. The monitor display events in different colors. Yellow: Request is an SSL request. Black: Request is processed but no cache.